It’s time for our favorite posts here at WHA- rumors! Standard disclaimer here- these are 100% unconfirmed, so use with caution. Have you heard a juicy rumor lately? Email us at weheartastoria@gmail.com and let’s chat. Is Post Scriptum/P.S. 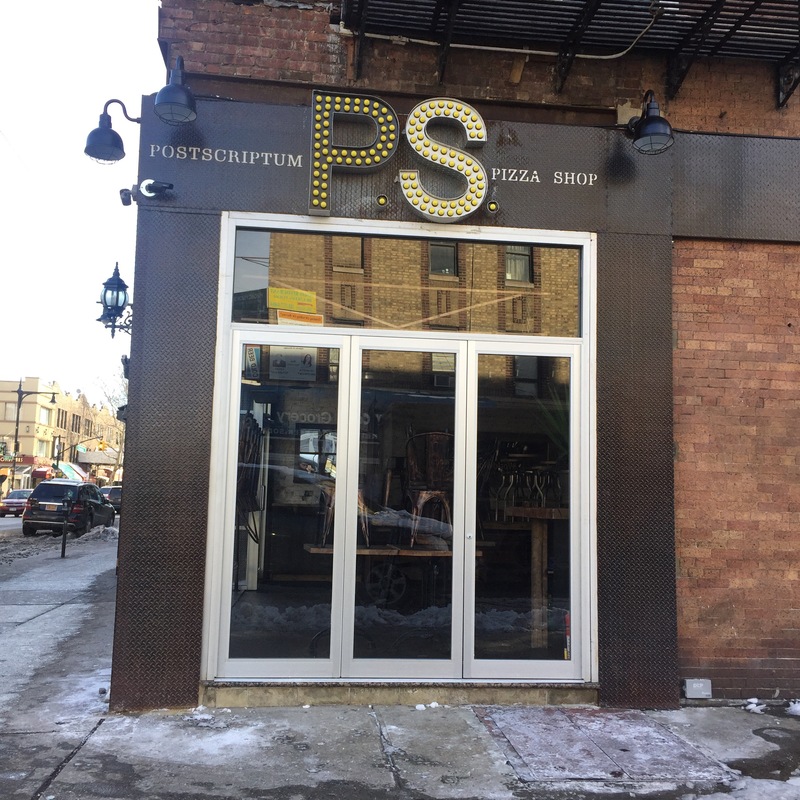 Pizza finally opening? While passing their storefront today we saw the paper is finally down! (And our original scoopage on the topic.) UPDATE: These guys are definitely open- who’s been?! Photo via Yelp user Jason V.
We haven’t seen any action at Linn in months, and the Yelp rumor mill is full of talk of their chef leaving. 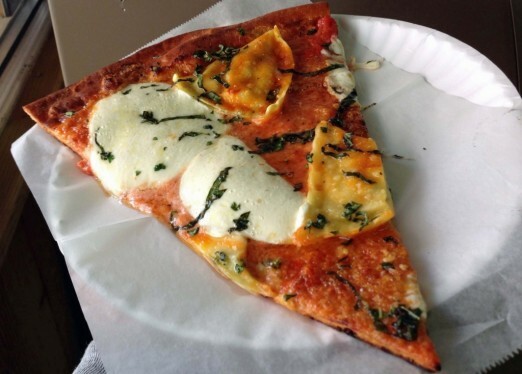 Think this is the end of this Astoria favorite? 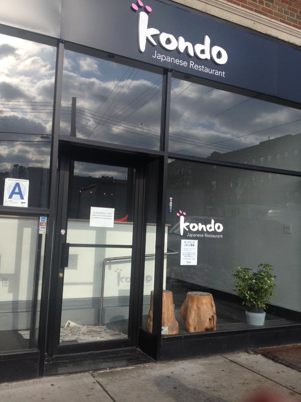 UPDATE: Linn indeed is closed and will now be a space called Kondo- perhaps new owners? Looks like they’re hiring, too. 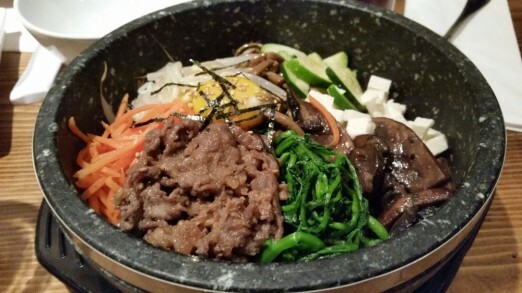 Photo via Yelp user Wei-Ping L.
Mojka– the latest Korean spot in town- is now open on Broadway. Who’s been? What used to be there, now no more. We’re also hearing rumors Razzie’s pizza place on Ditmars is now open- though their Yelp page is entirely unpopulated. Perhaps the wildest, least substantiated rumor we’ve heard (and honestly, don’t believe- yet) is that Neptune Diner is closing. 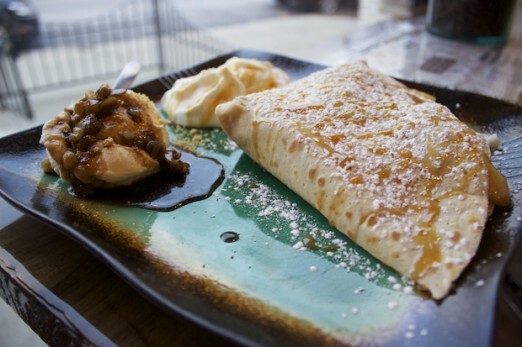 In the now open department, Locus Cafe in the former Waltz space on Ditmars is now open. There’s a lot of crepes in that area now. 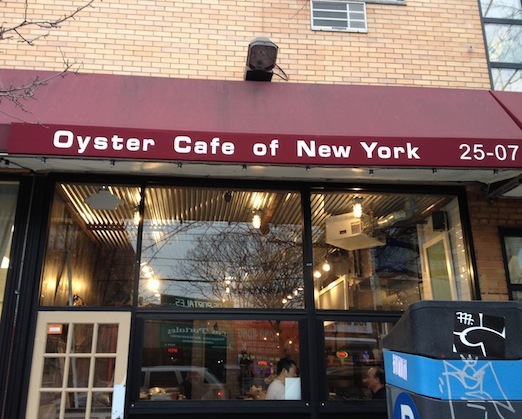 Sad face- WHA readers have also pointed out that Oyster Cafe on Broadway has shuttered. Any info on the new coffee shop that looks to be opening on broadway near 44th st? I passed by the other day and saw it looked pretty near to opening! Very excited to get a coffee shop in this part of Astoria! The Oyster place was fairly expensive, though, and was incredibly small. I don’t know how anyone could have run the #s and thought that business would work. Hell, they served coffee and breakfast for about a week, and then abandoned it. Nice little spot, but a poorly conceived business, and there’s no real evidence that they did anything to promote it. Oyster Place was in a very unfortunate location. Nothing stays open in that spot… Other than Bakeway and Strand nothing is really doing well on this block. Maybe Sac’s but they have been in the same spot for so long that they are a fixture now. 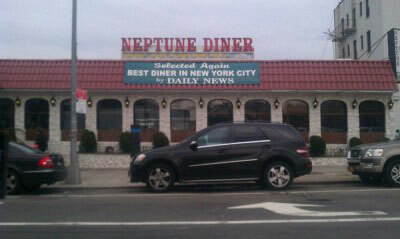 Hope Neptune stays open if not it should stay a diner under new ownership. Back when I was younger it was my go to place. Nothing like having an avgolemono soup at 5am after a long night of drinking and clubbing. I probably missed an earlier post about it, and I know there has been a ton of talk of it, but they officially have a sign up introducing Basille’s Artichoke below the Ditmars Blvd stop. Also bummed about the oyster place and Linn..hope Neptune stays..and something like the oyster place comes in it’s place..didn’t get a chance to go but was really looking forward to it..maybe rents are higher than they should be in the neighborhood? They seemed to be very well liked and popular. 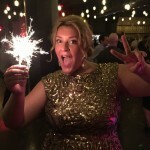 I am soon to be moving to Astoria…went to Mokja two weeks ago when my bf and I were looking for apartments. He had the tofu hot stone bibimbap and I had the chicken. They come with Miso soup. 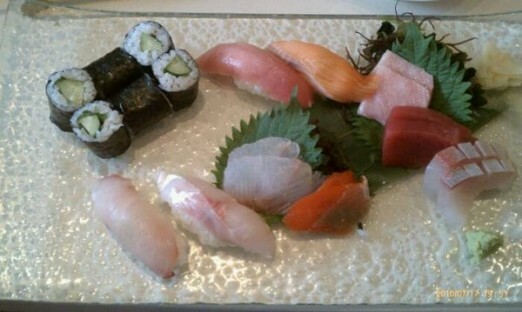 Each of our dishes was yummy. I would recommend this new place. (I know nothing about the other Astoria Korean places, however). Oyster Cafe seems to have been closed for some time now. While I never ate there, it was great having a coffee window so close to my apartment. Ya I think they are done, such a shame since they had a lot of potential. Walked by there tonight and noticed that someone recently placed a chain lock around the door. Prior to that the only activity I’ve seen there for the last few months was when someone came through and cleared out old garbage. Total bummer, it was such a cool place. walked by PS last night and there was a bunch of people in there. Might have been a soft opening / family, but looked nice. I hope the Neptune Diner doesn’t close. Makes me nostalgic. Checked out Mokja on Friday, the 23rd, and it was a full house. Some kinks in the service need to be worked out (they forgot our drinks, entrees came out about 20 minutes apart), but the staff were very apologetic and seemed like they were really hustling to accommodate everyone. I had the kimchi sundubu jigae and it was very good. Not on the level of BCD or some of the others out there, but it was still delicious and hit the spot. Ordered delivery from them the next day and delivery was prompt (delivered around 30 minutes after I ordered – to the Ditmars area, no less) and the food was piping hot when it arrived. Had the kimchi jigae (I was on a kimchi kick, what can I say) and it was good, although a little on the sour side (and I tend to prefer it more sour). Banchan came packed with my order, and the side of rice was very substantial. Ended up being a full 2 meals for me! Linn is definitely closed forever. Someone seems to have bought it, but is keeping it a sushi place. There’s a new sign up. So we see- updated post! Thanks! they also reduced the side of the entrance wall to make it more inviting. Wouldn’t be heartbroken if Neptune did close — it’s the only diner where I’ve had to explain how to make a patty melt. Locus has a wonderful warm vibe and I’m sure will be a welcome addition to the neighborhood. 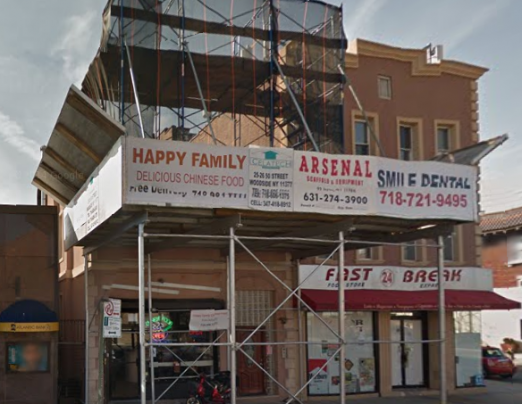 Looking forward to having some more cafe culture down on the Astoria Park end of Ditmars!